AUCTION LOCATION: East of Bremen, IN on US 6, 3 miles to Beech Road then south 1 mile (through E. 2B Road) to Rentown Road then west ½ mile at Rentown Restaurant 1535 3rd Road, Bremen, IN. Bremen Schools • All tillable. Parcel 2 – 29.6 acres, bare tillable ground on west side of Sarah Hershberger Ditch. This is all tillable soil w/varied subsurface tile. 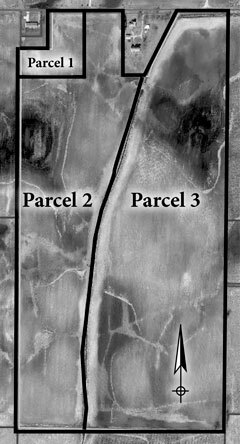 Parcel 3 – 43+or acres of nearly all tillable soil. This parcel lies south and east of the Sarah Hershberger Ditch. To gain access to this parcel, the buyer would have to install a culvert across the Sarah Hershberger Ditch. Again, this parcel is well tiled and top crops are being produced. Soil type: All these parcels have 3 varied soils on them. They are Brookston Loam, Rensselear Loam and Crosier Loam. As you can see, these are a heavier clay soil and the tile and drainage access are very important. Taxes on whole: $2,171.64 or 28.44 per acre.